Northants will begin the defence of the English Bowling Federation’s Adams Trophy at home to Norfolk on Saturday, May 28. The county made history last year when they lifted the coveted inter-county title at Skegness for the first time, defeating Northumberland in the final. 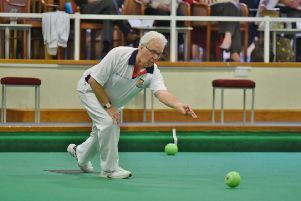 Successful team captain Cliff Watson (Peterborough & District) has since stood down from the role and handed over the reins to Fred Richardson (Whittlesey Manor), who was a member of last year’s victorious team. He is likely to keep faith with those players who are still available, although he will need to find a new skip following the decision by Lee Welsford (Whittlesey Manor) to take a year out of the sport. Brian Bassam (Peterborough & District) is again captaining the Newton Trophy squad who may be strengthened this year by an influx of new blood. Once again the Adams team will be playing their home matches at Whittlesey Manor, with the Newton side at Parkway for two fixtures, the third being played at the City of Peterborough green, which will also be the venue for the county finals on July 17. Saturday, June 4 – Away to North Cambs. Saturday, June 11 – Away to Suffolk. Saturday, June 18 – Home to Lincs (Whittlesey Manor & City of Peterborough). Saturday, July 2 – Away to Hunts. Saturday, July 9 – Home to North Essex (Whittlesey Manor & Parkway). After being forced to withdraw from the women’s inter-county competitions last year owing to a shortage of players, Northants are returning to the fold this season. They spearheaded a successful campaign in the winter to reduce the number of rinks from six to five, and, as a result, believe they now have a sufficient number of players to fulfil their commitments. However, despite the reduction from 18 to 15 players, North Cambs are only able to field one team, so only the Donald Steward team will be in action on the opening day of the programme on Saturday, May 21, when Northants make the short trip to their neighbours. Home matches for the Donald Steward team will be at Peterborough & District, with Parkway hosting the Silver Jubilee Vase fixtures. Mary Malton will be captaining the Donald Steward team 18 months after being elected – she was voted in at the November 2015 annual meeting before the county withdrew from last season’s competition – while Ann Cooper continues as captain of the Silver Jubilee Vase squad. Saturday, May 21 – Away to North Cambs (Donald Steward team only). Wednesday, June 1 – Home to Suffolk. Wednesday, June 8 – Home to Hunts. Wednesday, June 15 – Home to Lincs. Tuesday, June 28 – Away to North Essex. Monday, July 4 – Away to Norfolk. Three Hunts youngsters – Lewis Baker, Edward Elmore and Harry Ward - have been selected for the England under 25 outdoor trial which takes place at Leamington on Monday, May 30. The Peterborough senior team were pipped for runners-up spot in the Cambs League by St Neots A.
St Neots claimed 18 points from their last two matches against Huntingdon B and March B to take second spot behind Cambridge Chesterton A by just one point.